Mike Geiger, President and CEO of the Association of Fundraising Professionals, joins us from AFP’s Global Headquarters in Virginia. One of Mike’s goals for AFP is to focus on issues beyond fundraising training and education, addressing topics such as diversity and inclusion, gender inequity and building cultures of philanthropy that affect our work every day. In particular, he will be discussing the work of AFP’s Women’s Impact Initiative and sharing the results of the first-ever comprehensive survey about sexual harassment in the fundraising profession, along with other research and initiatives. Mike will also be talking about the state of the fundraising profession and what’s ahead for the fundraising community in 2019. Demographics: What is the makeup of women in the profession, and what do we know about them? Gender Equity: How do we close the gender gap in fundraising, tackle implicit bias, and develop leadership skills to move women into leadership positions—as fundraisers and donors? Barriers to Leadership: How do we understand and overcome additional obstacles women face on the road to leadership? Collaborating with leaders in other sectors to help fuel and support this initiative, as well as create a more inclusive culture of philanthropy. individuals and organizations that raise more than $115 billion in charitable contributions every year for countless causes around the world. Mike has over 25 years of experience in the nonprofit sector. Prior to accepting the President & CEO role for AFP, he served as executive director of the Chief Executives Organization, Inc., an international membership organization with a focus on education. 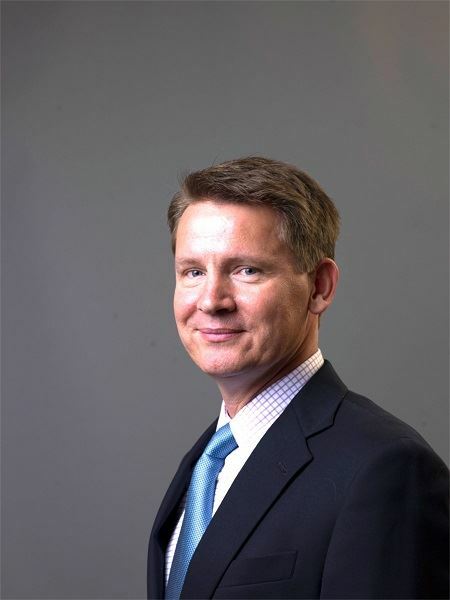 He has previously served in senior executive positions for the German Marshall Fund of the United States, and the Carnegie Endowment for International Peace. Mike sits on the board and is chair of the Finance and Investment Committee of the Romanian American Foundation, created by a 1995 act of the United States Congress, which promotes a democratic society to ensure access to opportunities for all segments of the Romanian population. Born and raised in Copenhagen, Denmark, Mike is a Certified Public Accountant. He holds a Bachelor’s degree from the University of Richmond and a Master's in Business Administration from Northeastern University. He moved to the U.S. to attend college and now lives with his family in northern Virginia. A very, very long time ago, Mike was a highly competitive tennis player, and while he remains passionate about the sport, he spends most of his time with family and friends, a glass of good bourbon and a Nordic crime novel.